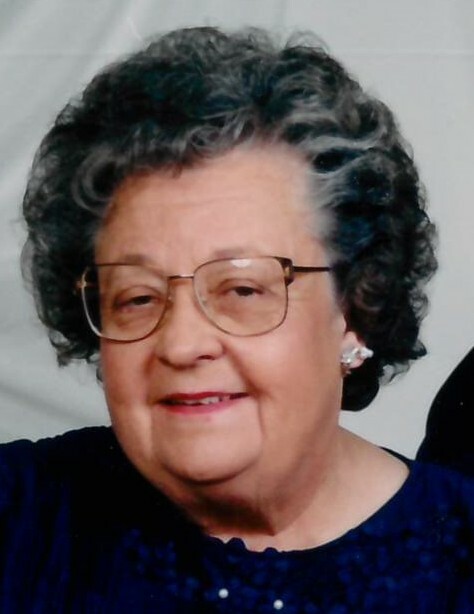 Paradise ~ Alice Bernice Remmele, 90, a retired lab technician and homemaker, went to be with our Lord Friday, April 12, 2019 in Plano. Funeral: 10:00 a.m. Tuesday April 16, at Hawkins Funeral Home Chapel in Bridgeport with burial in Paradise Cemetery. Family will receive friends 6-8 p.m. Monday at Hawkins Funeral Home in Bridgeport. Pastor Chris Baer to officiate. Pallbearers are Jarrett Blessing, Derek Boyd, Steve Schkade, Ben Schkade, Mark Moody, Sean Harris, Lane Loiselle, Jay Bivin, Jeremy Massey. Honorary pallbearers are Marvin Schkade, Bill Boyd, Tommy Blessing, Jack Moody, Merlin Remmele, Zack Gosler, Jim Massey, and Freddy Valdez. Alice was born to Bernhard (Ben) and Alma Marie (Handrick) Schkade in Albany. She was united in marriage December 22, 1946 to Elbert Remmele in Albany. Alice was a member of Trinity Lutheran Church and a 4H Club leader. She was preceded in death by her parents; her husband, Elbert; her daughter, Carolyn Neighbors and husband Tony; her grandson, Jonnathan Neighbors; her sisters, Evelyn Gosler and Emajean Moody and her brother, Robert Schkade. Those left behind to cherish her memory are her daughters, Glenda Blessing and husband Tommy of Paradise, Sharon Boyd and husband Bill of Keller; her grandchildren, Jarrett Blessing, Cynnara Bivin, Tiffany Harris, Katie Loiselle, Derek Boyd; her great-grandchildren, Remelee, Jayden, Dallas, Cayne, Cali, Layton, Noah, Elijah, Daphne, and Alice; her brother, Marvin Schkade of Farmersville; numerous nieces, nephews and a host of friends.